Getting Static IP on PTCL Broadband, PTCL EVO, PTCL Wingle, PTCL Nitro and PTCL CharJi connection is fairly simple. All you have to do is call PTCL Helpline on 1236 if you have PTCL Landline or 0800-80-800 if you are calling from mobile. Talk to the operator and tell them that you need Static IP on your connection. They will ask you about your connection details, your landline number if using DSL, your MDN number if using EVO, Wingle, Nitro or CharJi so make sure you have these things at hand. In addition, they might ask your about your address and the name of the person who applied for the connection. Once your request is forwarded, you will be provided a Static IP address within a day or two. Note down the IP Address that is displayed on a paper. Now restart your modem / router and wait for 1 min until the internet light on your modem turns on. Now refresh your browser page and note the IP Address again. If both the IP Addresses are same, that means your connection has been assigned a Static IP Address. On PTCL DSL Boardband, the monthly charges for Static IP are 300 Rupees added in Telephone Bill. One time activation charges are 500 Rupees. 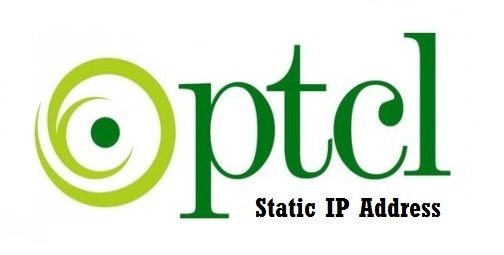 You can cancel using Static IP anytime by calling PTCL Helpline and asking them to remove your Static IP. please tell me taimoor I will purchase PTCL Charji EVO wingle so its take monthly 2500rs no telephone charges bcz in this charji there is no need for telephone conection tell me?? Yes bro there are no telephone charges. But if you are buying CharJi for setting up an online gaming server, its not a good choice. The latency will be much high as compared to DSL and other cable based internet connections.